The first Creed is the only sports film that has moved this writer to tears. Good fun, but frequently misses decisive blows. Doesn’t punch nearly as hard without Coogler in its corner. Michael B Jordan returns as Adonis Creed in this overly sentimental and uninspired rehash of Rocky IV. Following on from no fewer than six Rocky films, 2015’s Creed was the best possible example of how to revitalise a long-running franchise. Approaching a familiar story through a new lens, the struggles and triumphs of Adonis Creed (Michael D Jordan) were bolstered by Ryan Coogler’s technical precision and touching specificity when it came to the film’s snapshots of black culture. 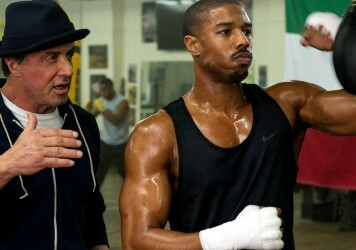 Despite Stallone’s presence as a co-lead, and the events of the past looming large over Adonis, Creed managed to pay homage to its predecessor while forging its own path. 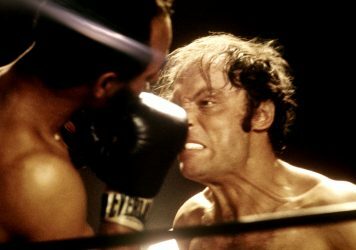 Sadly, Creed II fails to strike that same balance, leaning a little too hard into Rocky lore. Ivan Drago (Dolph Lundgren), the man who killed Adonis’ father, Apollo, has returned with his son Viktor (Florian Munteanu) in tow. They’re determined to restore honour to the Drago name, the script implying that Russian boxing turned its back on Ivan following the events of Rocky IV. After Adonis finally becomes a champ in his own right, the main plot is set in motion by a mysterious, superfluous promoter named Buddy Marcelle (Russell Hornsby), who seems to exist solely to provoke Creed and push the two sets of characters towards an inevitable grudge match. Considering that the first film focused on Adonis setting out on his own journey while reconciling his father’s legacy, Creed II, with director Steven Caple Jr taking the reins from Coogler, shows a surprising lack of trust that the character might stand on his own. 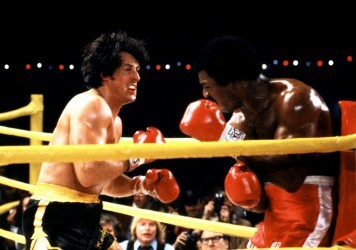 There’s a lot more Rocky this time around, perhaps a side effect of Stallone having a co-writer credit. But regardless, it’s frustrating that Adonis and his pop star girlfriend Bianca (Tessa Thompson) feel like they’ve been shuffled off to the side for a rehash of Rocky IV. Thompson is great as ever, but disappointingly her character’s developing hearing loss is substituted for a subplot about her preparing for motherhood. What should be big changes bear little weight: Adonis and Bianca become parents like it’s nothing, with little time spent on their fears and lack of preparation. Their relationship lacks the intimacy of the first film too – there’s nothing here like the moment in which they talk while he braids her hair, which felt both special and specific. Perhaps most commendable thing about Creed II is its handling of Ivan Drago as Rocky’s polar opposite. He’s a man who can’t let go of his toxic pride, living vicariously through his son, whereas Rocky encourages Adonis to be his own man – forget vengeance. When Drago speaks to Viktor he almost exclusively uses the plural pronoun ‘we’, as though his past failure to beat Rocky is on his son’s head too. The relationship between the two is the most interesting aspect of the film, so it’s a shame their shared screentime is restricted to a handful of scenes. As for the fights themselves, Caple Jr’s staging feels a lot more conventional, cutting back to the crowd for reactions rather than keeping us immersed in the action inside the ring. We never truly get to occupy any character’s headspace, minus a few POV shots of Creed getting punched in the face. It’s made clear that the reason Adonis wants to fight Viktor is pride, but the film feels too ashamed to say it out loud, instead having Creed vaguely remembering “why he climbed those steps”, talk which feels cheap given his arc here. The film can’t decide whether it’s better to let go of masculine pride or indulge it, ad unsuccessfully tries to have it both ways. From Body and Soul to Creed, the sports movie has a rich tradition of raising awareness around issues of class and race. A franchise is reborn in sensational fashion courtesy of director Ryan Coogler and star Michael B Jordan.